Windsurfers have been visiting Cabarete since the mid 80s because of the fantastic conditions available for every level of sailor. 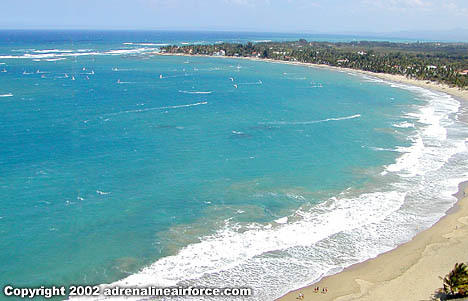 Cabarete has played host to numerous world-class events. Every June, it hosts Cabarete Race Week, an international windsurfing competition that incorporates exciting windsurfing competition and a ton of fun!